Accessories: Designer Buttons Brights, Hemp Twine, Jewellery Tag Punch and Adhesives. Yes, I know what you are all thinking, Christmas and its only May but when I think of buttons and twine its always Christmas. 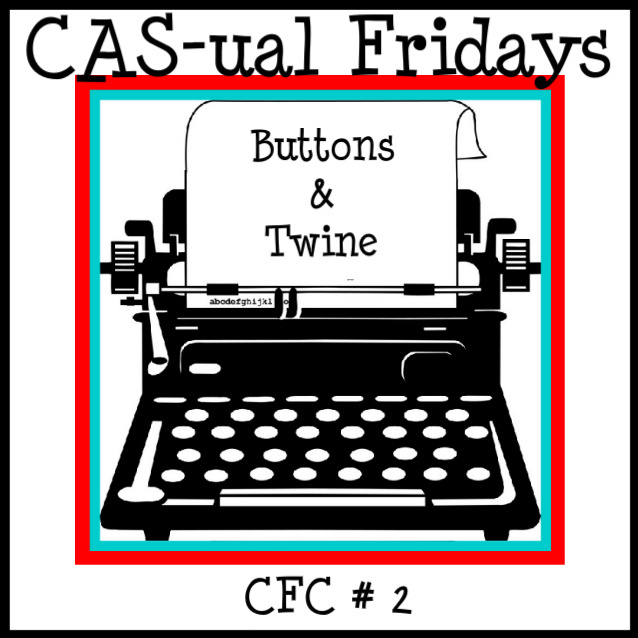 Come on over to CAS-ual Fridays http://cas-ualfridays.blogspot.com/ and join on in the fun. What a clever idea, and so very well executed! 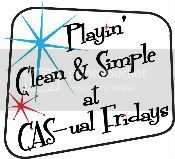 Thanks for playing at CAS-ual Fridays! Now this is a festive tree! 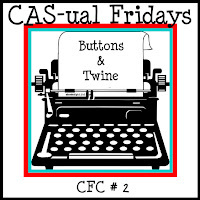 I love the fact that your christmas tree is non-traditional colors, love all the different shaped buttons with the twine :) Thanks for playing this week at CAS-ual Fridays! I love this idea! What a fun tree! Thanks for playing along at CAS-ual Fridays! Love it! Such a delightful assortment of buttons and they look smashing as a tree!! Thanks for playing with us at CAS-ual Fridays! So cute and clever. Love all of your colors. 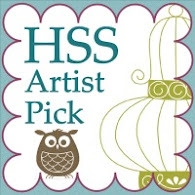 Thanks for sharing your project with CAS-ual Fridays! It's never too early for Christmas cards! 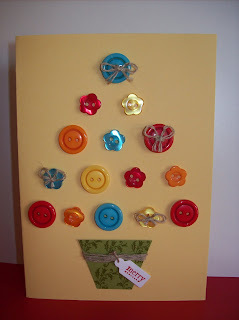 This is a fab card...a very bright and funky christmas layout! Love it! Ca-YUTE!! Love the button tree idea, and the twine wrapped around the pot - super cute! Thanks for playing with us at CAS-ual Fridays! Hope to see more of your beautiful work again!